We may blush when our clients share their recommendations, but it reminds us that combining industry knowledge and work ethic with a proven approach really does win. Our clients are happy to share their experience. If you want to hear more, let us know and we will arrange for a client referral call – or several. We have a great group of clients, and we love to share their point-of-view. 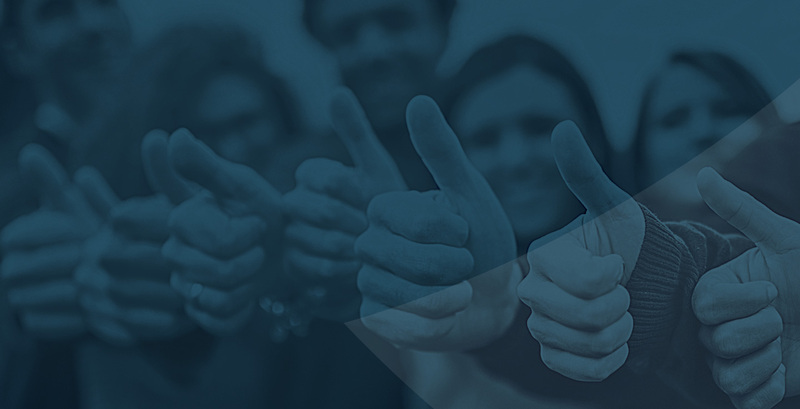 "Nick and the CustomerServ team established one of our best performing call center vendor relationships and have been instrumental in staying engaged and involved in the success of the partnership. In an industry that seems to be crowded with vendors and people always trying to sell you stuff, Nick’s knowledge base and trusted-advisor approach is really a breath of fresh air. Although I have extensive call center experience, I can always bounce stuff off Nick and often learn something new from him. I value our relationship and would recommend that you get Nick and CustomerServ on your team fast!" "Nick and the CustomerServ team are thought leaders in the contact center BPO outsourcing industry and the first place I look when I need truly elite vendor solutions. I have been working with Nick and CustomerServ for several years and always find them to be professional, knowledgeable, deeply engaged and always willing to dig in and work hard to ensure that they deliver the exact type of solutions required." "I have known Nick for over 20 years and he is my go-to guy for anything call center related. Nick and his team can distill complex issues into quick wins and have done so repeatedly for me over the years. At Gerber Life Nick helped me find the right outsourcing partner and in my other roles over the past 2 decades, Nick has been an invaluable resource. Nick and CustomerServ are highly recommended by me." "Nick has been a pivotal resource for us for many years. Our outsourcing needs are at a critical stage right now and he has delivered incredible results every time we’ve called on him. Nick has integrity, brilliance and professionalism all rolled into one neat package. He has a vast knowledge base in contact center outsourcing, the vendor landscape and our vertical business needs as well. His expertise has made our jobs so much easier when choosing our prospective partners. His willingness to walk us through every step of the way has been refreshing to say the least. Nick is definitely the top expert in the outsourcing arena and I will continue to trust my business goals to him now and in the future." "I met Nick while I was at Delta Community Credit Union (Delta Airlines) trying to figure out a better 3rd party call center solution for my credit union as I was very disappointed with my provider’s service quality and high pricing. From the start, Nick was very concerned about my members, the damage that was happening to my credit union’s brand, and the opportunities we were missing with each outsourced call. He then began to share with me his many years of experience in the BPO industry and discussed a solution and plan that was not only going to optimize our member experience and revenue but also save us a ton of money on variable staffing. Nick is the kind of guy that’s always in your corner. I appreciate his expertise and generosity every time we talk and I highly recommend Nick as a call center outsourcing visionary." "Nick and CustomerServ helped me at Cricket Wireless in our initial operational and customer experience transformation. He was instrumental in helping us source a high-quality bilingual call center partner for Cricket to grow and evolve in near-shore sites. Nick is a true expert in contact center outsourcing, vendor selection and matchmaking. He remains an integral part of my professional network and I continue to utilize his industry expertise." "I have been working with Nick to identify call center partners. With 20+ years of call center leadership under my belt I have plenty of contacts for this but dreaded RFPs and searches. Nick made all this painless for me and vetted some fantastic call center partners that I was able to review and in a time frame that surpassed my expectations. All of his selections met or exceeded my requirements. If you need to look for great outsourced call center partners and want to avoid many of the hurdles you would normally face in your search then I recommend Nick very highly." “I have worked with Nick Jiwa and CustomerServ over the last 10 years and specifically when I served as the Senior Director for Telephone Account Management for Office Depot. Nick is truly an expert as it relates to the outsourcing industry and is well connected across the spectrum of many delivery mechanisms to include voice, data and back office processing. Nick is a true connector; he assisted me in finding two ideal partners that had what it took to deliver great results for Office Depot. This selection was based on the research and time we had spent together as I described what we needed from an outsourced partner for Telephone Account Management. Once the selection and RFP process was completed Nick worked closely with me and the vendors ensuring that success was accomplished during my tenure at Office Depot. I highly recommend Nick Jiwa as a highly experienced outsourcing professional who has a high level of integrity that is only matched by his desire to deliver customer satisfaction." "I was referred to Nick and CustomerServ by a former colleague who highly recommended his services. My company was looking to take our outsourced call center channel to the next level and even though I’d spent a good part of my career supporting call centers, I hadn’t a clue about how to begin such a search. From my first conversation with Nick, I knew I could trust him. He really took the time to understand our needs and asked detailed questions to assist him in identifying partners who would not only enable us to meet our goals but complement our mission. Nick is the kind of professional I truly enjoying dealing with. He’s knowledgeable, responsive, honest, down-to-earth and a genuinely good guy. I look forward to our continued association."